With a truckload of startups coming out of the woodworks, many are in the position of having never worked with video to promote or pitch the business, app, product or service. Write a video brief! It might seem like an intimidating task but a simple series of question will guide you through the process. 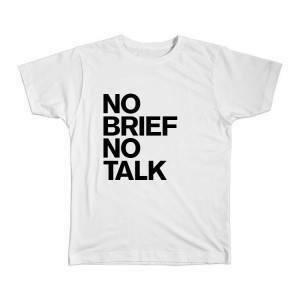 Have you have seen the latest designer shirt (by Temasek Clothings) that’s going around that says “No Brief, No Talk” on it? Most post houses, studios, or agencies essentially feel the same way, if you don’t have a brief prepared, they might not have the time for you. Or at very least they will charge you if you don’t have one. Why? Because it takes time, money, energy and resources on their end to get you all the necessary information about your business, market, and goals out of you. The cost might be buried in the meeting times or administrative fees when you get the bill. So if you want to save some money and shave some time off your project while you are shopping around for production houses or agencies, write a brief. Here’s some questions to answer to help you out. I broke it down into the basic (the bare minimum that should be in a video brief), and an in-depth one (which I’ll post in part 2) so you can practically bypass that discovery phase that most agencies want you to spend days of your time on. Having this prepared will make you look like you are on top of your game and in turn you will get confident and respectful bids for your project. 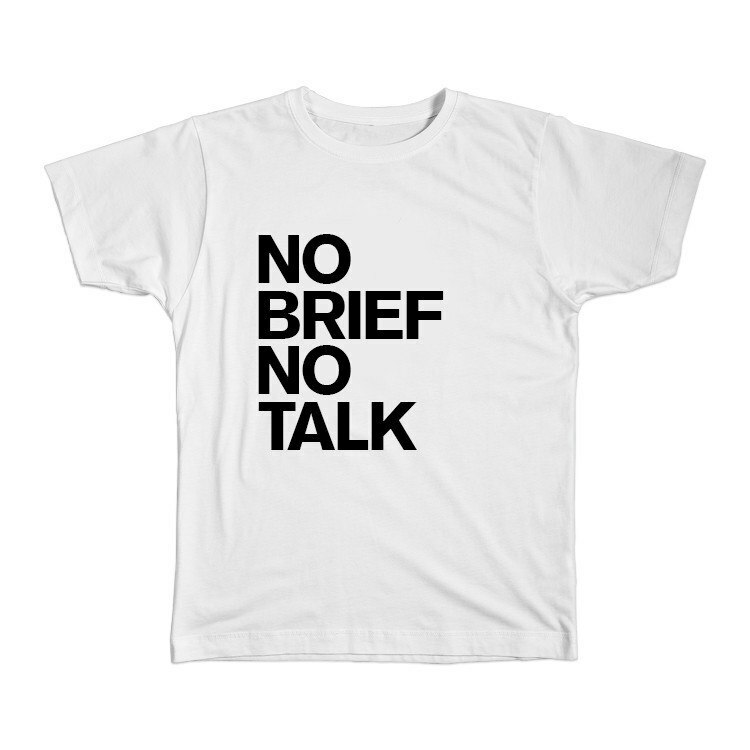 How to write a video brief. While this may seem like a broad question, the answer most producers are looking for is what kind of video is it that you need. Is it business or product explainer? Are you looking to raise awareness and want the video to spread socially? Are you trying to drive traffic to your website with a pre-roll video? Is it a video that is meant to entertain and also provide some sort of revenue stream? Is it targeting a certain section of you marketing funnel that you are having problems with like generating leads or conversion? This where all the demographic information that you got from your in-house marketing team comes into play. You demographics is your audience. Producers like to know as much as possible about them so they can focus on a proper treatment that will keep their interest. 3. What’s the key message? Obviously, this is tied to the goal of the video, but a more specific narrow statement. Think of it this way, if there was one thing you’d want a viewer to takeaway after watching our video, what would it be. That is your key message. 4. What is the video style? Providing some stylistic examples and links that you like is a good place to start. It’s also helpful to include any branding and style guides. 5. What are the deliverables and what are the specs for each? To find this out you might need to do some research on your delivery channels, as each once tends to have slightly different specs. and requirements. 6. How will you distribute & promote it? Is this a broadcast commercial, a video that will only be featured on the web, a video for in-house company meetings, featured on a digital billboard, passed around social media? If it’s a commercial entertainment venture, how are you marketing advertising it? Do you also need to cut a trailer for it? Are you doing a press release? Does google ad words campaign make more sense? How about a simple You-Tube promotion? What about Facebook and Twitter? Is someone doing SEO for your video? This is one of the most important things you need to know upfront. When do you need it by? If you need it yesterday and this is a rush job, expect to pay double to quadruple what you would for a normal deadline. A 2 minuted animated video designed from scratch takes around 6-8 weeks to complete, depending on the complexity of the animation and material. You should start shopping around as soon as possible for a video. If you think it will take around 6-8 weeks, ideally you should add two months to that time and then start looking for video producers (so almost 4 months before deadline, especially if this is your first video). That way you will give yourself the best chance on landing the best talent for project while considering others availability and schedules. A healthy budget is crucial for a successful video to meet its goals, and a realistic budget is essential for you to achieve a good return on your investment. Basically, you need a balance between the two ends with enough money left over to distribute, market and promote your video. Here’s a very rough ballpark on what kind of money you can expect vs. quality of work. Depending on the video, style, complexity and duration if your budget is under $3K, you’re most likely looking for an amateur freelancer on craigslist, e-lance, freelancer.com and the like. If it’s around $3k – $50K you’re in the right range for a more established freelancer or boutique studio and sometimes a small ad agency. $50K and up, and it’s usually time to start shopping for a post house or ad agency for production duties. So I hope that helps you write a video brief. Next week I’ll post up part 2 that will covered in-depth questions regarding the discovery phase. Feel free add anything that I may have missed or if you have any questions in the comment below. Don’t forget to share this with a friend that’s new to video.